Dinesh D’Souza, author of the #1 New York Times bestseller America: Imagine a World Without Her, has a warning: We are on the brink of losing our country forever. After eight years of Obama, four years—or possibly eight years—of Hillary Clinton as president of the United States would so utterly transform America as to make it unrecognizable. No more will America be a land of opportunity. Instead, it will be a land of rapacious crony capitalism, run solely for the benefit of friends of the Obamas and the Clintons and the Democratic Party. It will, in fact, be the fulfillment of a dream the Democratic Party has had from the beginning…a dream of stealing America for the politically favored few. 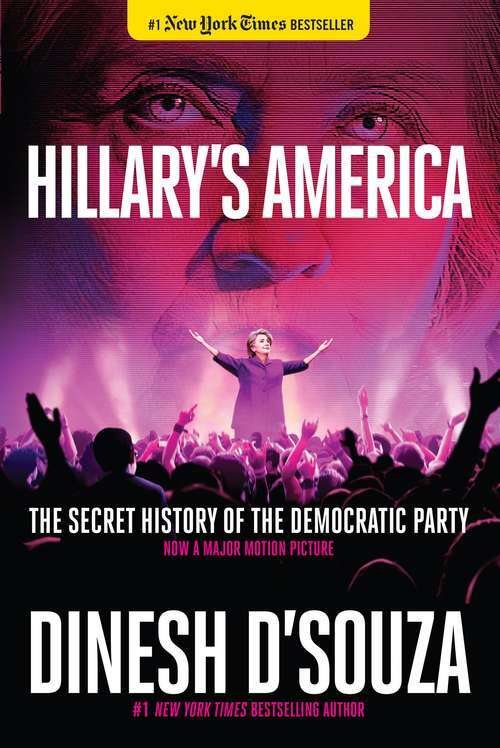 In Hillary's America, D’Souza reveals the sordid truth about Hillary and the secret history of the Democratic Party, including: how Democrats transitioned from pro-slavery to pro-enslavement; the long-standing Democratic political war against women; how Hillary Clinton’s political mentor was, literally, a cold-blooded gangster; how the Clintons and other Democrats see foreign policy not in terms of national interest, but in terms of personal profit; how Democratically controlled cities have turned into hotbeds of crime and corruption; and much, much more. Not only is Hillary Clinton a liar and a criminal—who would have been indicted for mishandling classified information on her secret email sever had the Democratic Party not closed ranks around her—she is also the culmination of her party's deliberate and stunning plot to redistribute wealth and political power to the liberal elite. Find out how Hillary and Bill used the Clinton Foundation to ruthlessly sell State Department influence to the highest foreign bidder. Find out what shady backroom Democrat dealers taught Hillary Clinton her particular brand of corrupt party politics. And most importantly, find out whether America can stop her from destroying the country once and for all.